Today, November 27, is the Feast of Our Lady of the Miraculous Medal. 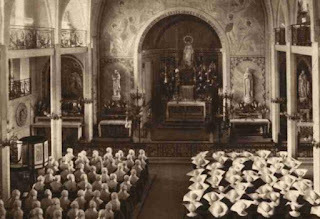 It was on this day in 1830 that the Blessed Mother appeared to St. Catherine Laboure in the Motherhouse Chapel of the Daughters of Charity in Paris, France. 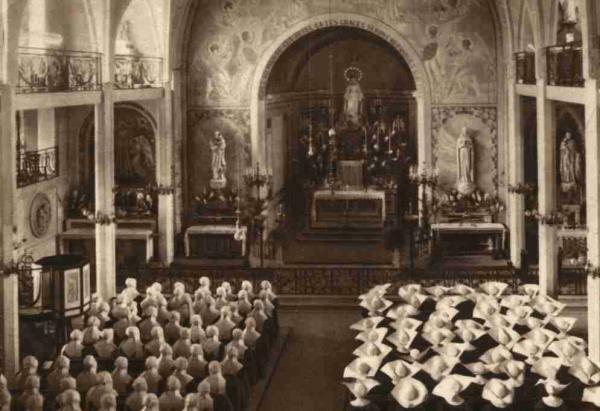 Catherine was a seminary sister at the time. During this apparition, Mary asked Catherine to "have a medal struck after this model. All who wear it will receive great graces: they shall wear it around their neck. Great graces will abound for those who wear it with confidence." The symbols on the medal summarize the mysteries of the Christian faith. The front side of the medal pictures Mary with rays of light coming down from her hands. She is standing on half of the globe with her foot crushing a serpent. She told Catherine, "These rays are a symbol of the graces that I pour on those who ask of them of me." In the oval surrounding the image is the prayer, "O Mary conceived without sin, pray for us who have recourse to you." 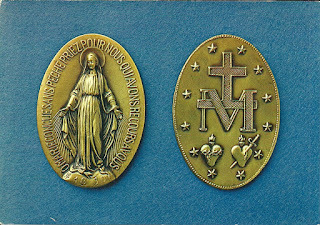 On the reverse side of the medal is the letter M surmounted on a cross and below it, a heart of Jesus with a crown of thorns and the heart of Mary pierced by a sword. Around the images are 12 stars. Catherine shared with her spiritual director, Father Aladel, Mary's request to have the medal made. It took two years before he was convinced of the apparition. He then asked and received permission from the Archbishop of Paris to have the medal made. 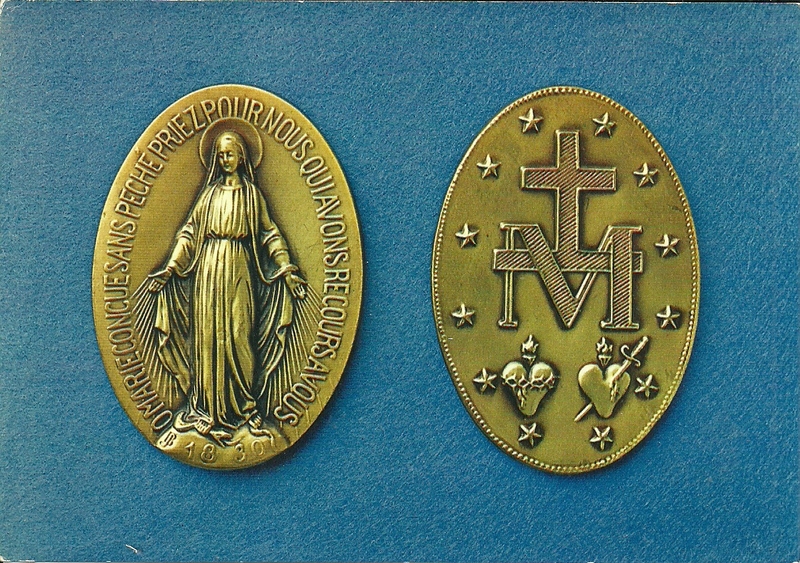 The use of the medal spread quickly and it became known as the Miraculous Medal as many people gave testimony to being healed and hardened hearts had been converted. In 1836, the Holy See approved the medal and its supernatural origin. It is estimated that over 1 billion medals were distributed by the time of St. Catherine's death. Do I take advantage of the graces Jesus offers me through the intercession of His Mother? How is God calling me to conversion? How do I express my faith and share it with those in my family and those with whom I am in contact during the day? Do I pray through Mary's intercession for the graces I need and for the world? Do I follow St. Catherine's commitment to prayer, her perseverance in times when she doubted, her comment to the services of others, and her confidence in the Blessed Mother and her Son? Written by Sister Mary Shea, D.C.